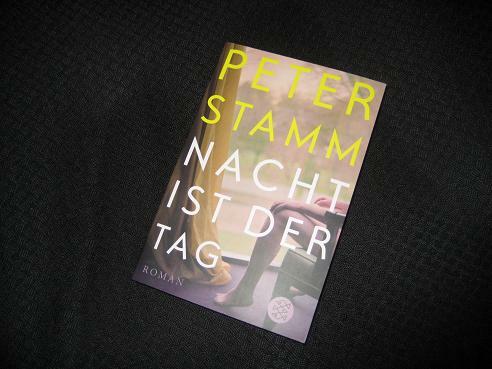 Having read all of Peter Stamm’s previous novels (although I still have some of his short story collections to get to), I was looking forward to getting my hands on the latest one, which appeared in German a couple of years back. Of course, there are limits to my enthusiasm (and finances), and I decided to wait until the paperback edition was released at the end of 2014 – which meant that I was able to see several reviews of the book, not all of which were that positive. Pause for thought? Perhaps… But having enjoyed his first four novels, surely this one would be a success too? Nacht ist der Tag (All Days are Night) begins with Gillian, a beautiful, successful TV presenter, waking up in hospital. As her memories slowly return, the reader finds out about the car crash that put her there, an accident which has left her husband dead – and seriously damaged Gillian’s face. After the first of many operations, she returns home to brood over her misfortune, and to think about the cause of the accident, an argument with her husband which led to his driving under the influence. The reason for the argument was Gillian’s secret meetings with Hubert, an artist and photographer she met on her show – and the photos he took of her. However, she isn’t the only one whose life is altered by the impromptu session as the artist also sees his life take a different direction afterwards. It’s a chance encounter that has changed both their lives – it’s only when they meet again that they realise how much. Both Gillian and Hubert struggle to come to terms with the change in their circumstances. Having been successful, they are unable to deal with a life slightly more ordinary. Just as Gillian has lost motivation, Hubert too seems to have had the life sucked out of him by their encounter. The raw material is there for an interesting story, but somehow it doesn’t quite come together. While Stamm’s usual work (Seven Years, Agnes) often has a spiteful, disturbing undertone which lends the story a unique air, this one is, at times, simply dull. This is particularly true for the first half of the book, focusing on Gillian coming to terms with the accident and the flashbacks to her meeting with Hubert. It sets the scene for the rest of the novel, but it’s rather boring and far too slow. The book is also structured a little strangely. The first half is written from Gillian’s viewpoint, and the second section is seen through Hubert’s eyes, with a third section, a sort of coda, rounding things off. The overall effect is a little disjointed, the whole story failing to hang together somehow – in writing of a couple whose lives are off kilter, Stamm seems to have felt the same issues himself. Sad when a favourite author disappoints, especially since you’ve waited quite a while for this book. Does that make you even more curious to try his short stories?